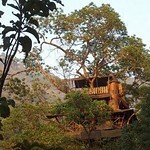 Hotels & Treehouses in the Misty Jungles of Wayanad. Wayanad offers the last remaining tracts of tropical forests and wilderness of the Western Ghats. Accessible only by road from other parts of Kerala, Wayanad makes an exciting destinationfor both adventure tours and family get away. Read more about Wayanad here. This is a selection of accommodations in Wayanad, Kerala where we have details of hotels, homestays, resorts or the very unusual. 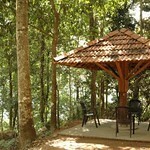 Spread over 15 acres in lush greenery in an Island in Banasurasagar reservoir of Wayanad. 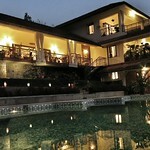 Wayanad plantation hideaway with Kerala's biggest treehouse, 8 rooms in all and informal family-run atmosphere. Very tranquil. 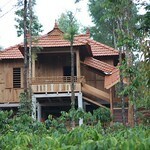 Blue Ginger resort is set amidst jungles and valleys of Wayanad. 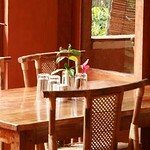 The peaceful atmosphere of Blue Ginger resort offer an ideal and relaxing holiday spot for tourists. Resort constructed entirely from earth! Awesome. 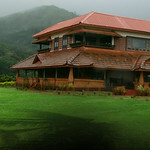 Spread across 35 acres of verdant terrain, Banasura Hill Resort has earth rooms, twin villas and suites. Set against the bewitching backdrop of the Banasura Hill, this resort is for the discerning traveler who looks for a more enriching experience than a mere vacation. 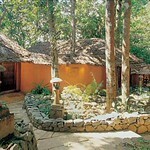 Rain country resort is a favorable abode for nature lovers. Located in Lakkidi, 1300 meters above sea level. A trek to the nearby lakes,island and waterfalls can prove to be a memorable experience for those who wish to remain in unison with nature. Coffee Aroma is a charming plantation resort located right in the middle of a fully functional coffee plantation in Wayanad. Nestled at the foot of the majestic Chembra Peak, at an altitude of 2100m, staying at Coffee aroma is almost like living in an estate bungalow. Mountain Homestay in Wayanad with super friendly hosts! 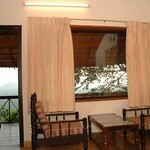 Substantial farmstead homestay in the mountains of Wayanad. Special is the word! Tree Villas & Swimming Pool included! Edakkal Hermitage offers incomparable ambiance that allows the visitor to enjoy their stay by experiencing the unique charm of the prehistoric etching at the Edakkal. Rock Shelters that provides perfect backdrop for that. 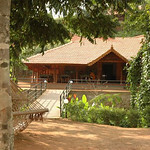 The eco-friendly nature resort comprises of many Cave-houses, eco-lodges and tree houses. 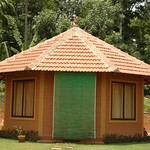 This eco-friendly garden resort comforts in a lush green spice garden in the green paradise of Wayanad. 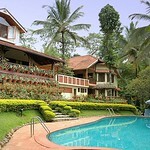 SunBird is an ideal getaway to enjoy a tranquil accommodation with warm hospitality and abundance of scenic pleasure. The place is very tranquil and cut off from the bustle of urban life. These accommodations meet our exacting standards and have been met by us or we will tell if they have not been visited or do not meet our standards! If you don't feel that you can face trawling the hotels, but simply want advice, help, a shoulder to cry on, why not call or e mail our team who would love to help you.